The St. Mary's Rod and Classic Car Club met on August 6th at the Town Hall office in Leonardtown. There, they presented non-profit organizations with checks to help assist their organizations. The Car Club was generous to provide $500 to LVRS. When each organization was called, you presented what your non-profit organization does for the community. We are extremely grateful for the Car Club to choose our organization. 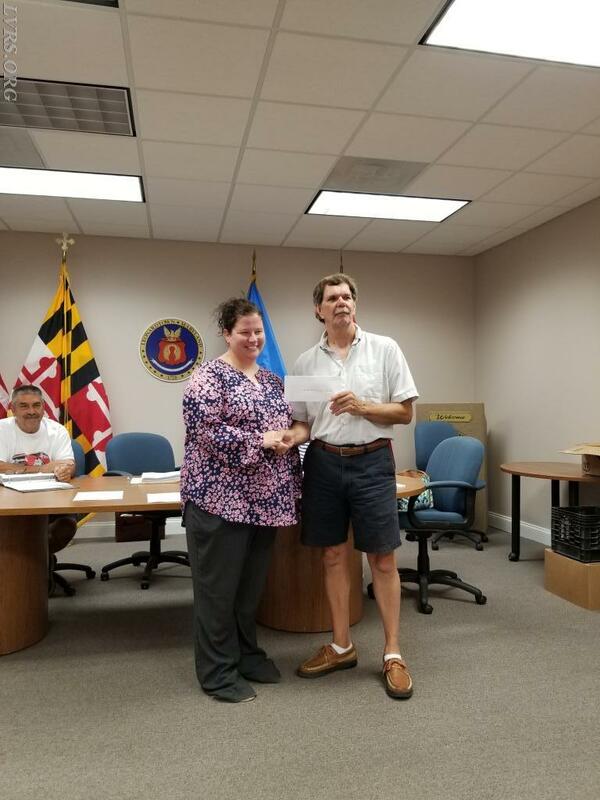 Some of the other organizations that were chosen was ACTS (A Community that Shares), Special Olympics, Southern MD Food Bank, Vacation for Vets, and Hits for Heroes. This was a tremendous amount of funding given out and there were a couple of other organizations as well that were not present. President Rocky Woodburn was supposed to be accepting the check, however, we had a Priority 1 call that was dispatched while he was enroute to Car Club meeting and diverted to the call. Thank you to the members of the Car Club!